“There was screaming, crying, panic, horror. There was death. The MGM Grand Hotel was one of the first massive luxury megaresorts on the Vegas Strip. At a cost of $106 million dollars and boasting 26 floors and 2,084 rooms, at the time of its opening in 1973 it was the largest hotel in the world. On the morning of November 21, 1980 there were more than 5,000 guests in the casino resort. At approximately 7:05 AM, a supervisor of a marble and tile setting crew entered one of MGM snack bars/restaurant known as The Deli. He was there to examine the premises for broken tiles. He got a lot more than he bargained for. The employee first noticed a small reflection of a flickering light and, upon closer inspection, discovered a wall of flame traveling from the counter to the ceiling. He immediately notified MGM security about the fire and proceeded to secure a hose line and fire extinguisher. The employee tried to contain the fire. But time and again the heat and smoke were so intense that he went knocked to the ground. He knew it was too late and left the casino immediately. Other employees started to notice the fire was starting to spread quickly and could nothing to stop it and they left, too. The fire, which was caused by an electrical ground fault in one of the walls of the restaurant, had been smoldering for hours before entering a catwalk area above the casino. The fire became so hot that it exploded through the ceiling. It then almost immediately spread to the lobby of the casino at a rate 15 to 19 feet per second. 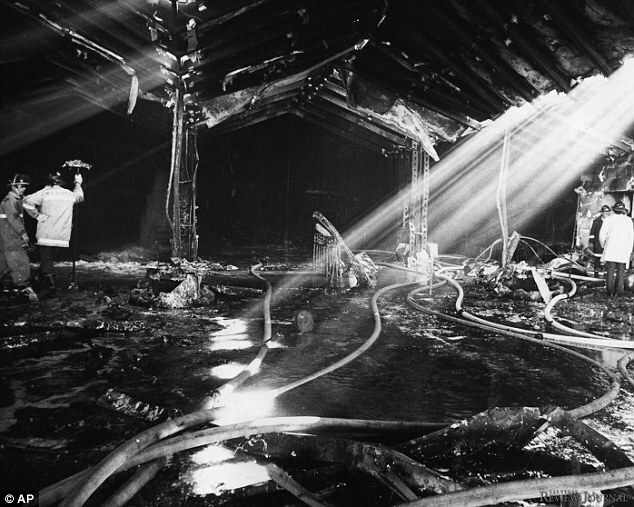 The blaze was fed by highly-flammable wallpaper, glue in the ceiling tiles, the use of PVC pipes and plastic mirrors. The flames moved through a restaurant in the lobby called the Parisian Bar, where a plastic awning caught fire and added to the blaze. It ripped the casino floor with such force that a gigantic fireball erupted out the main entrance that faced the Las Vegas Strip. 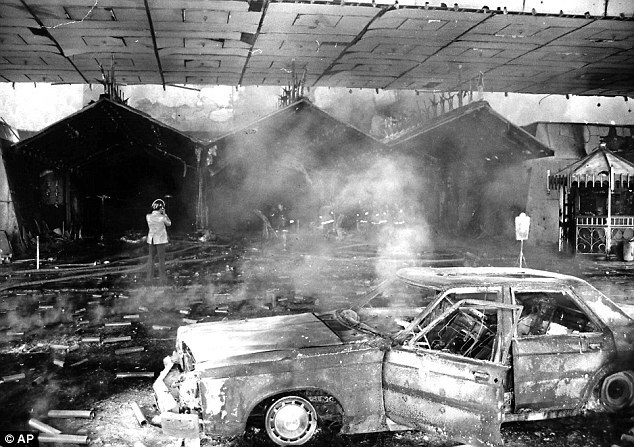 Approximately 10 people were charred instantly by the conflagration on the casino floor. That number would have been much higher had the fire broken out even an hour lateras most of the resorts patrons were not on the casino floor. Firefighters were quick to arrive on the scene and by 8:30am had managed to contain the flames to the first two levels of the casino. However, that was just the start of the disaster. Lethal black smoke and carbon monoxide from the fire began to drift up the 26 floors of the casino through the elevator shafts, stairwells and air conditioning ducts. The air conditioning units on the roof were not equipped with smoke dampeners or detectors, and continued to operate, recirculating the toxic smoke throughout the building. All of this time, many of the guests were not alerted to the what was going on the casino. No one from the casino warned the guests about the smoke. No alarms were sounded anywhere in the building and fire safety sprinklers were not installed in most of the hotel. Floor by floor guests were surprised by the smoke. Many guests on the upper floors of the casino tried to escape through the stairwells. Unfortunately, the stairwells were filled with the lethal byproducts of the fire and escape was impossible. The doors to each floor locked behind them and there were only two exits on the 1st and 26th floors that were unlocked and accessible through the stairwell. Everyone in those stairwells died. Many of them sat on the stairs, unable to breathe, and died from inhalation. Panic did set in for many. The Las Vegas Fire Department’s ladders were only long enough to reach to the 9th floor, leaving hundreds on the upper floors stranded. As the smoke worsened, guests sought an escape. Some broke windows get fresh air only to be greeted more smoke. Some built rope ladders to attempt to climb all the way down. Some guests broke out hotel windows, hoping to clear the smoke from their rooms, only to find more was pouring in from outside. At least one woman jumped to her death. Others made their way to the roof of the MGM Grand where they were rescued by local police and Air Force helicopters. Several hundred hotel guests were saved from the rooftops. Unlike most mass casualty fires, not one victim died as a result of jamming at the exits and trampling. Instead, many took steps to preserve their lives as the smoke filled every floor.. Patrons of the hotel had time to put wet towels over their faces and around doors to block out smoke. Others warned people and they would group up and stay in a safe area. All in all, eight-seven people died in the fire. 84 died that day and a few others died later. 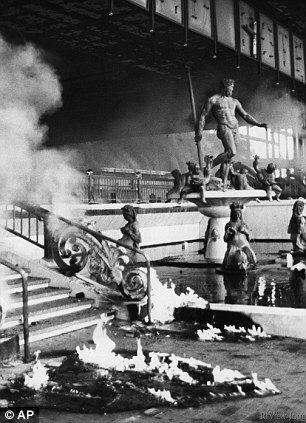 One victim was found in ruins of the casino nearly two days after the fire. Save for the 10 victims on the casino floor, nearly all of the victims died due to smoke inhalation and carbon monoxide poisoning. A total of 650 people were hospitalized. Fourteen firefighters were admitted with issues related to the smoke. An investigation was started almost immediately and some awful facts came to the life. It was determined that the tragedy could have either been prevented if the hotel had a sprinkler system installed in all of the hotel and not just sections. This particular fire almost assuredly been would been avoided had there been sprinklers in the kitchen to put out the slow, smoldering fire. The investigation also revealed that the fire marshall and a risk management group hited by the MGM had recommended the hotel install sprinklers. Hotel executives resisted the recommendations due the $190,000 cost of sprinkler installation. The casino was ultimately granted an exemption —despite the opposition of fire marshals—reasoning that a fire would be quickly noticed and could easily be contained with portable fire extinguishers located close by. When the fire broke out that day in The Deli, the restaurant was no longer open 24 hours per day; in fact it was closed and was completely unoccupied. After the fire, 83 building code violations were found, but no one faced criminal charges. More than 1,300 lawsuits were filed against everyone would have anything to do with the construction of the hotel. 118 companies would ultimately be involved the construction and operation of the MGM Grand. They paid into a $223 million settlement fund, with MGM itself contributing nearly half that amount. Nevada now has some of the strictest fire safety laws in the country, and the fire is cited in improving hotel safety worldwide. The MGM Grand fire was a terrible tragedy but would have likely faded from the news within a month but a tragic event in Purchase, New York (post coming December 5th), just two weeks later would thrust the MGM and fire safety right back in to the limelight. My grandparents were guests that day. Do you know how I can get written confirmation from Clark County Fire or MGM Grand and their room number. They were at breakfast at another location when the fire happened.